This nostalgic holiday accommodation is in a quiet location. 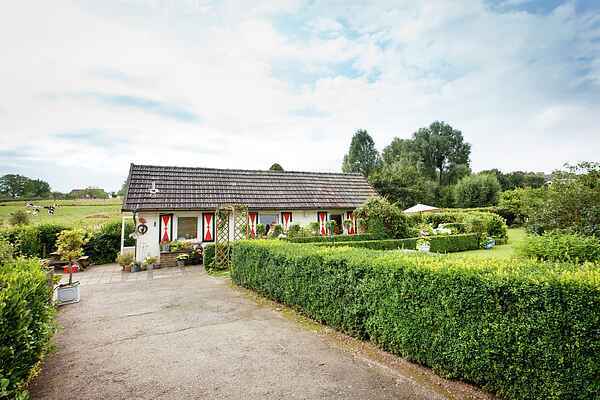 It lies between rolling fields in a delightful wooded valley. The house is on the outskirts of the village of Mechelen in South Limburg. The area is perfect for nature lovers, walkers and cyclists. A superb walking trail starts nearby. It will take you through hills and fields with panoramic views across the border. There are plenty of cycling and mountain biking trails as well. You'll find an eighteen-hole golf course about one kilometre away. The charming village of Mechelen with its cafes and restaurants is about 1.5 kilometres away.